Effective with the 2019-20 school year, Cleburne ISD will be offering a new tuition-based pre-kindergarten program for incoming four-year olds, which will be included in Pre-K/Kindergarten Spring Registration taking place April 15-26 at all elementary campuses. 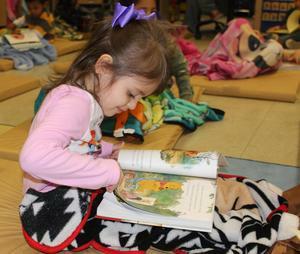 Tuition for Cleburne’s Pre-K program open to students who do not meet state enrollment requirements, will be $3,850 for the 2019-20 school year, which can be paid in monthly installments of $385 over a ten-month period. Under Texas Education Agency guidelines, state-funded Pre-K is open only to students who are limited English proficient, eligible for the free/reduced price lunch program, homeless or currently or have been in the care of the Department of Family and Protective Services. Children with a parent on active duty in the U.S. armed forces are also eligible. Opening Pre-K to all families has been a goal of CISD and its Board of Trustees. At the February 18 school board meeting, trustees approved the tuition-based option to be implemented in the upcoming school year. The proposal, presented by Tammy Bright, assistant superintendent of student services, included a request for three additional pre-kindergarten teachers to meet anticipated response from the community. Requirements and information for registering a child for Pre-K or kindergarten are posted on the CISD website, www.c-isd.com and will also be going out via elementary backpack mail. Students who will be age five on or before September 1, 2019 are eligible for kindergarten. Enrollment forms for all three programs are also posted on the website. In order to complete the registration process, parents should bring a copy of their child’s birth certificate, current immunization record, Social Security card and proof of residence, such as a utility bill or rental agreement. Parents are asked to bring their child to the registration, and the parent/guardian will be asked to present their driver’s license or a photo ID. Parents registering their child for Pre-K under state eligibility guidelines should also bring proof of income in the form of two current check stubs from every wage earner in the household. Students currently enrolled in the CISD Pre-K program will automatically be registered for kindergarten in the upcoming school year. For more information, please call the CISD Student Services Department, 817-202-1128. Cleburne ISD’s new tuition-based Pre-Kindergarten program will be included in spring registration for early learners taking place April 15-26 at all elementary campuses. Opening Pre-K to all students, in addition to those who meet specific state eligibility requirements, has been a goal of the District and Board of Trustees.